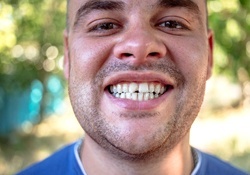 Even if your oral health is in good condition, that doesn’t mean you’re necessarily happy with your smile’s appearance. If you’re looking for ways to improve the look of your smile without spending too much on cosmetic treatments, direct bonding is a perfect happy medium for your smile and your wallet. The dentists at Harrisonburg Family & Cosmetic Dentistry are committed to ensuring that your smile looks the way you’ve always envisioned it to. Contact our office to give your smile a boost! Direct bonding is a common procedure that utilizes composite resin to correct small imperfections present in teeth. If you’ve ever had a tooth-colored filling placed, then you’re already familiar with this material. In contrast, direct bonding is more intended for cosmetic purposes, rather than restorative ones. The material is shaded in order to best compliment the color of your existing tooth. This way, any imperfections that may have been present before treatment will now be indistinguishable to those around you. What is Direct Bonding Used For? What Does It Treat? Those who have an exposed tooth root can also use direct bonding to reduce sensitivity associated with receding gums. If you have any cavities or damaged teeth, chances are you can benefit from this treatment as well. However, some patients may need to have a dental crown placed instead depending on the level of damage present. After learning about your smile goals and completing your examination, one of our dentists will create a mixture of the composite resin so that the shade blends in with your current teeth. 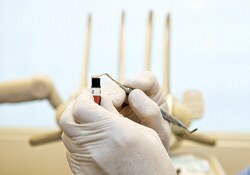 Then, they will place the resin directly to your tooth, molding and shaping it until it looks natural. Once the resin is in place, they will use a special curing light to harden the material instantly. Overall, the treatment takes a little less than one hour to complete. However, the treatment may take longer if you need to have multiple teeth worked on. Additionally, visiting our office once every six months is imperative. During your exam, we can confirm the condition of your direct bonding and determine if touchups or replacement material is needed to keep your smile looking the way you want.